With the housing boom over, sellers have to be smarter about how they can use home improvements to add value to their property. Home improvements offer the simplest way of adding value to a property. As a rule the more rewarding modifications are those that expand the living space, rather than make the existing space more cosmetically pleasing. Loft or cellar conversions, building extension, new kitchen or garage are all potentially great ways to increase buyer appeal. However, before dusting down the toolbox and quickly knocking up a building extension or a conservatory, it’s wise to first carefully consider the real value of any planned work and the chaos you will have to endure whilst it is carried out. Property modifications can be a risky financial venture - what will an improvement potentially add to the property value? Will this be outweighed by the costs required to undertake the work? If measures are introduced to save costs - such as by taking on the job yourself – then it’s important to bear in mind that the work needs to be of a high standard if it is to be a positive addition to the home. You may well be justly proud of your nifty bit of handiwork but if it looks more eccentric and ‘unique’ than professional than it will not only fail to add any value to the property but might even scare off potential buyers. A recent study found that one of the top five worthless home improvements was a bad loft conversion. Other improvements that were found to add no value whatsoever - and are therefore in terms of investment best avoided - were a swimming pool, garden makeover and porch. 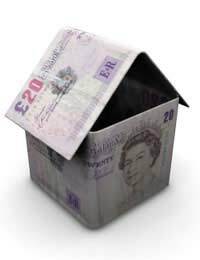 Which home improvements will best likely see a return on your precious coffers? A recent estate agent survey looking at the effect of value of DIY projects on saleability found that the top three remunerative home improvements were a new kitchen followed by a new bathroom and then a conservatory. Other worthwhile improvements in the study included central heating, loft conversion, parking space and double glazing. As the biggest investments, it is the space creating improvements that could potentially be the biggest value enhancers. For example a study by Nationwide found that converting a London two bedroom property into a three bed by creating extra space would add around 13.6% to its value, whereas attempting the same feat by converting existing space would add only 4.8%. As a way to further corroborate your choice it is also worth considering which features appeal most to the average house hunter, as these will likely add the greatest value on to a property. In this study ample parking space or garage was found to be the number one priority for property seekers. With more homeowners than ever owning two or more cars it is perhaps not surprising that so many are concerned about keeping their four-wheeled pets safe and secure off the streets. Potential house buyers will also be keeping a keen eye out for radiators and double glazing. If your home is lacking in either then it is wise to consider rectifying this before considering any other improvement. As nigh-on standard house features, their absence can crush buyer interest in one swift glance. However, in a time of an economic downturn and property slump, any attempts to add value to your home by investing in improvements should be taken with extreme care and in the case of costly renovations, probably best avoided altogether. The mortgage lender Abbey has warned that whilst housing market is failing, anything more lavish than a cosmetic makeover is worthless from an investment point of view.